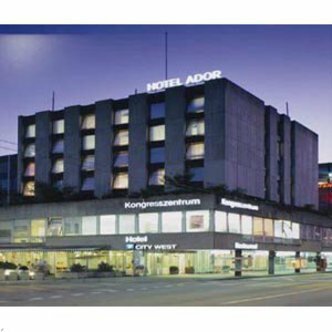 The Ador Sorell Hotel has 52 rooms with every modern convenience including modem/fax connection, direct dial telephone, TV/radio, hair dryer and room safe. Additional services provided by the hotel include free use of an Internet terminal in the lobby, 24-hour staffed reception, luggage room in the lobby, laundry and dry cleaning service, non-smoking room, rooms with wheelchair access and a parking in the house. The hotel has its own restaurant and well known for its regional menus. A professional staff is at your service at all times. The Ador has one of the famous Meeting and Conference Places in Berne and offers you an excellent service for all your requirements. In addition to the Hotel, the City-West shopping centre has several cinemas, a wide range of bars and restaurants, a billiard centre, a games centre, various shops, a fitness centre and a swimming pool.